Fraises des Bois Alpine Strawberries are Awesome! Just uncovered my Organic Heirloom Fraises des Bois Alpine Strawberries. They had collected a leaf cover that protected them from frost and hard freezes — even down to -1F this winter. And yet, when I pulled back the leaves I had beautiful green crowns! 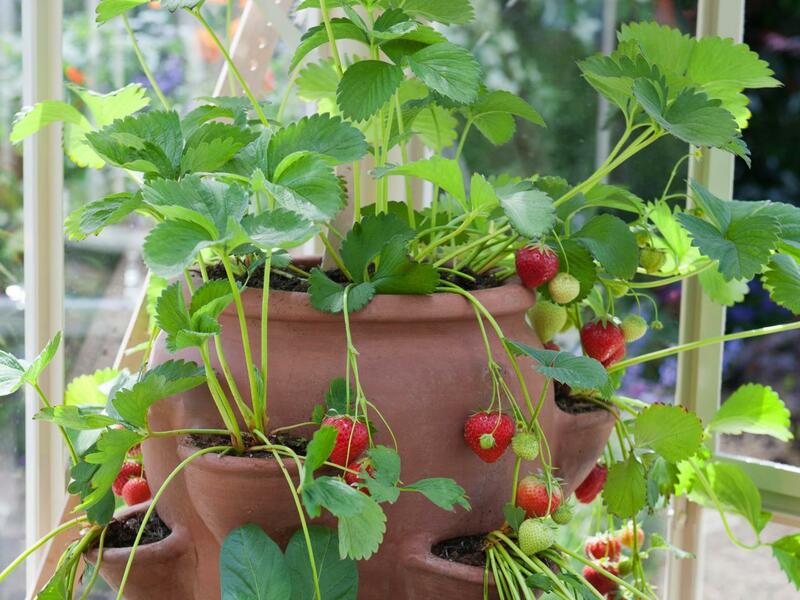 I will soon be dividing and potting up extras from my pots for sale along with my new Fit Of Pique mosaic Strawberry Pots in which you can grow them. These are so easy to grow and care for and produce the most fragrant, luscious little berries. Love to have them outside my kitchen door so I can pick and add to my cereal in the morning. Grown by European royalty for centuries, these are special. And aside from their beauty, fragrance and flavor, they are also healthy with some surprising medicinal qualities. Since the numbers I can offer are limited, you can pre-order/reserve yours now at CherryGal.com! 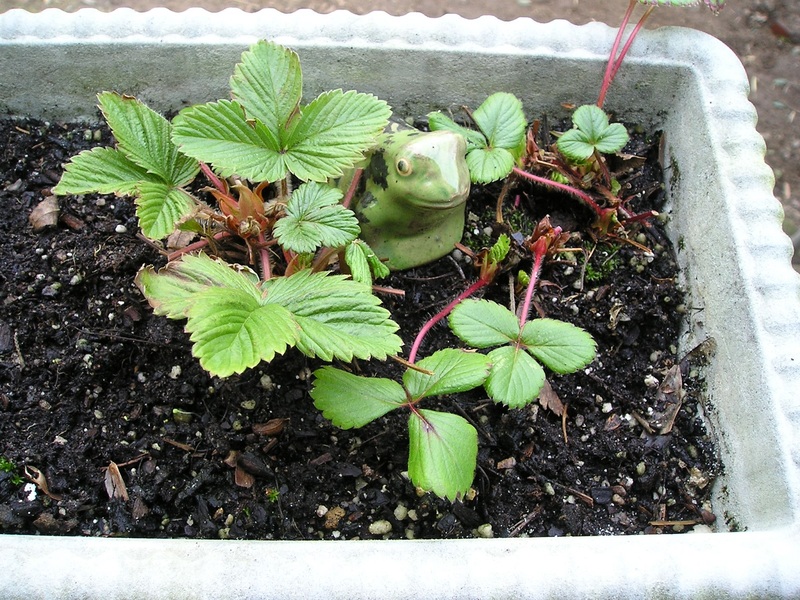 This entry was posted in Garden and tagged Alpine Strawberry, Fraises des Bois, Garden, Organic Garden, Window box Plants by Cherry Gal. Bookmark the permalink.